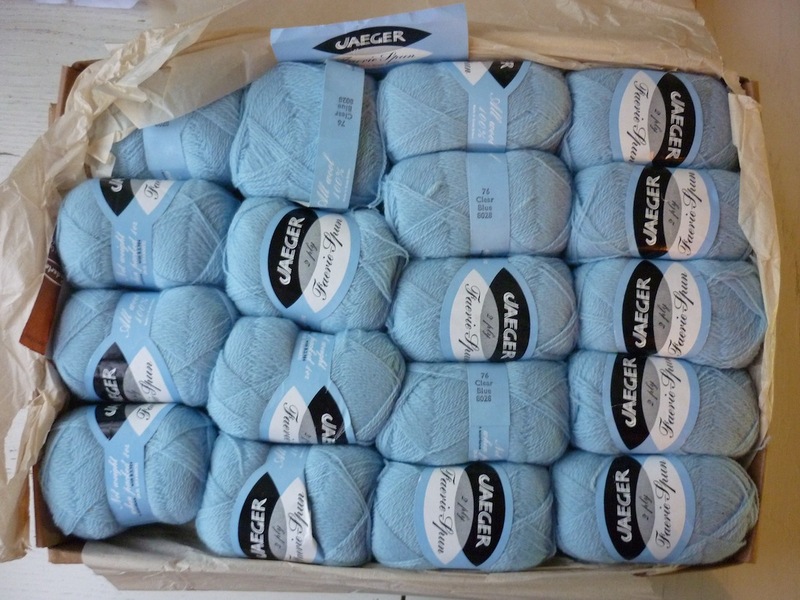 Miss Busby’s thought she had some time on her hands, so she ordered some wool from Jaeger. They despatched her order on 2 April 1964. 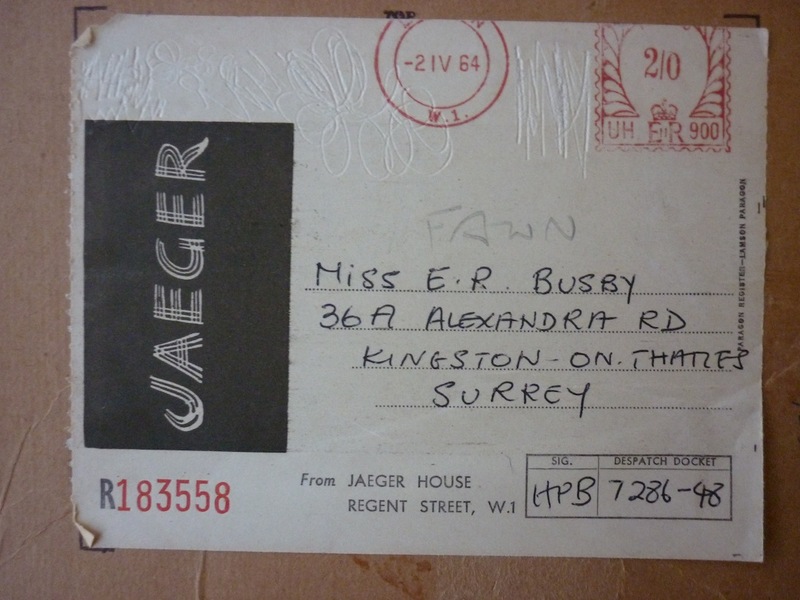 The boxes arrived in fine condition at 36A Alexandra Road. However, Miss Busby never found the time to use her beautiful wool to good use. We will never know what happened between 2 April 1964 and 25 February 2011, but that’s when I found them languishing in the corner of a Brighton flea market. She ordered a box of Fawn. 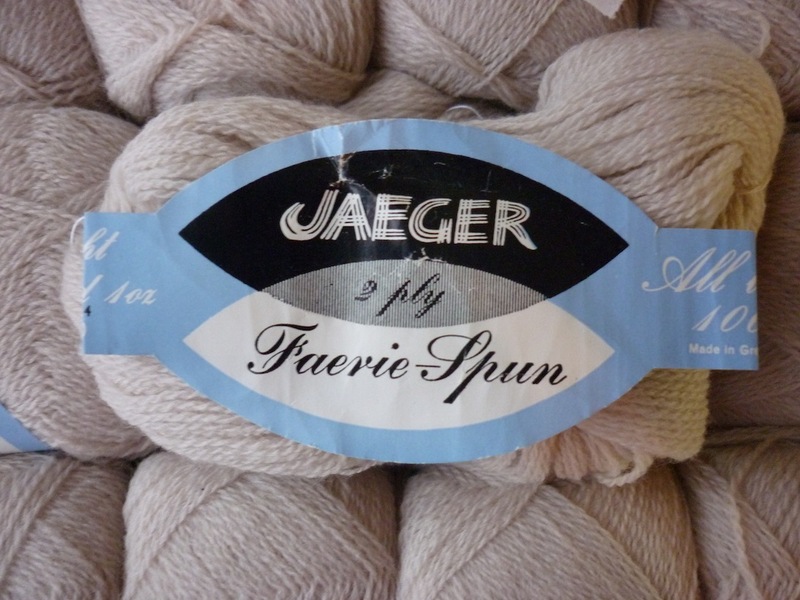 It’s Jaeger 2ply Faerie Spun. 100% wool! The second box contains Faerie Spun in Clear Blue. I could not let this wool wither away unloved in that corner, so I brought it home. Now I’m on the look-out for a suitable pattern to knit it into a beautiful slipover. 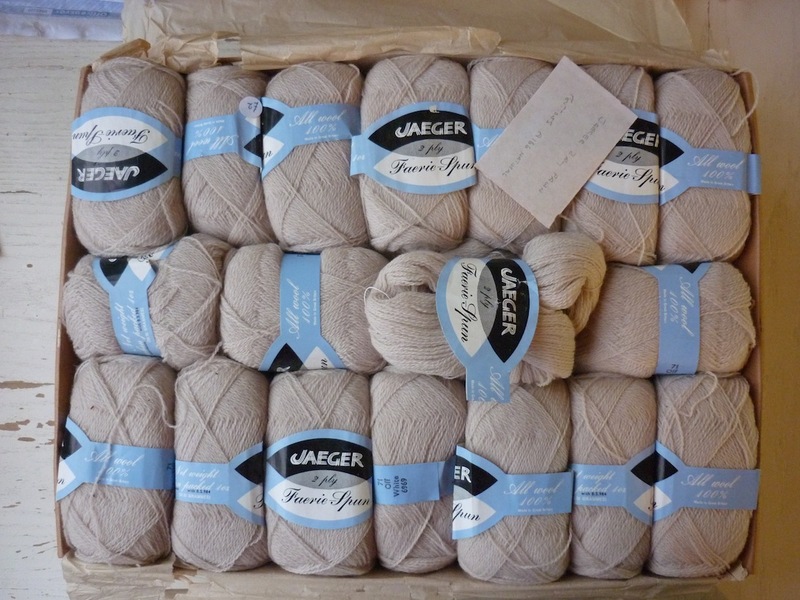 Beautiful Jaeger yarn. You could always knit it double with yarn from two balls mixed together which might make it easier to knit to a modern pattern. It’s a great find! 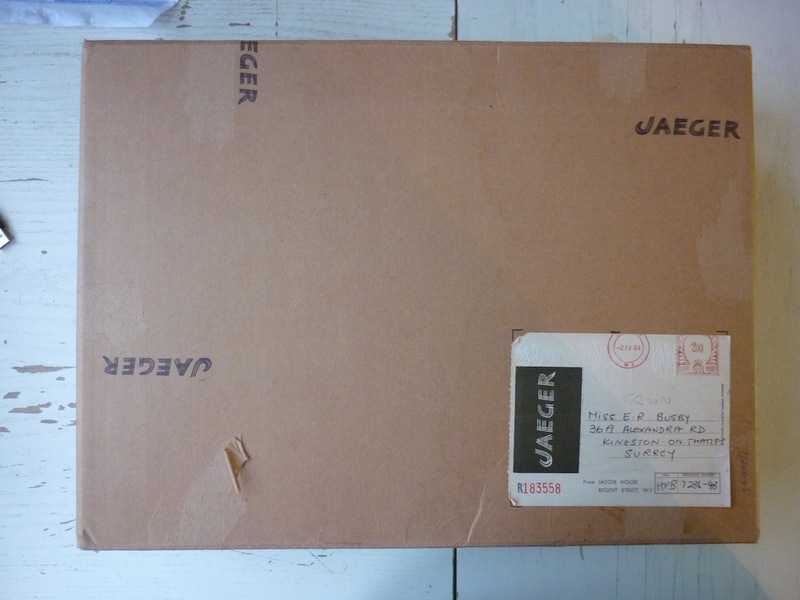 I want to design a sweater inspired by the boxes the wool came in. I will be using it as is, I like doing projects that take forever! Great Patterns from the 1920’s to 1950’s and probably a lot that would be perfect for your yarn. Thanks for the tip, I ordered a copy for one penny! You wouldn’t, by any chance be prepared to part with 6 balls of the fawn would you? I can’t find it anywhere and I would like to knit my first grandchild a shawl. I knitted one once and then felted it in the machine!